Furiends I’m in my car in a queue waiting for the ferry! Yes! The FERRY! We’re on our way to Elba to show the Gramps around. We’ve had a lovely road trip. 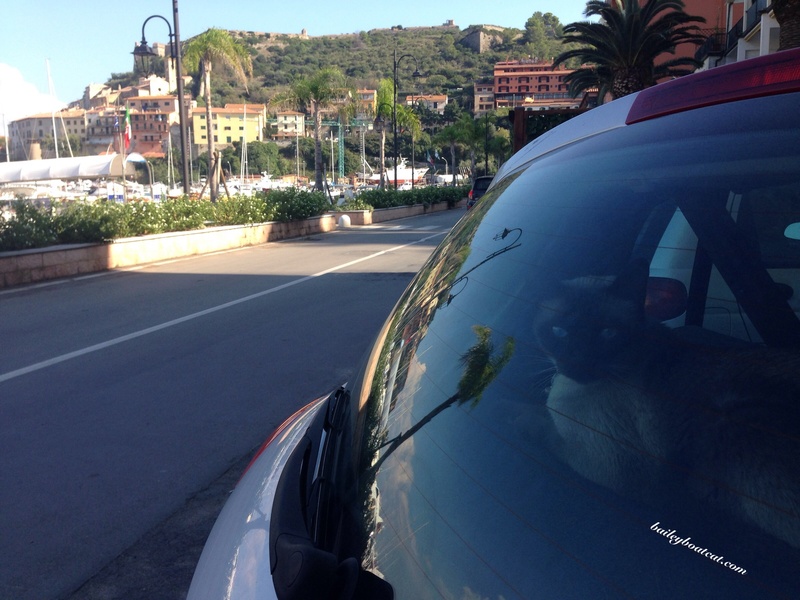 We stopped in Porto Ercole for the humans to have lunch and I enjoyed watching the world go by from the comfort of the parcel shelf. Then we drove for another couple of hours and now we’re waiting for the ferry to Elba! I’m excited about going on a ferry! I’ve never been on one before! I’m sure it’s going to be pawesome! I hope you all have a purrfect week! How exciting, Bailey! Can’t wait for you to tell us about it. have lots of fun! You are such the adventurer. Oh Bailey what a GREAT adventure! Being on the open sea is nothing NEW for you but in a car I suppose it is!!!! wow you sure do get to go on alot of fun adventures. I am glad you share them all with us. My Jesse Jomo once travelled from Melbourne to Brisbane (Australia) enthroned in my daughter’s RAAF hat on the luggage shelf of a Laser. He had a wonderful time “waving ” to all the motorists that passed us 🙂 I hope you enjoy the trip around Elba. 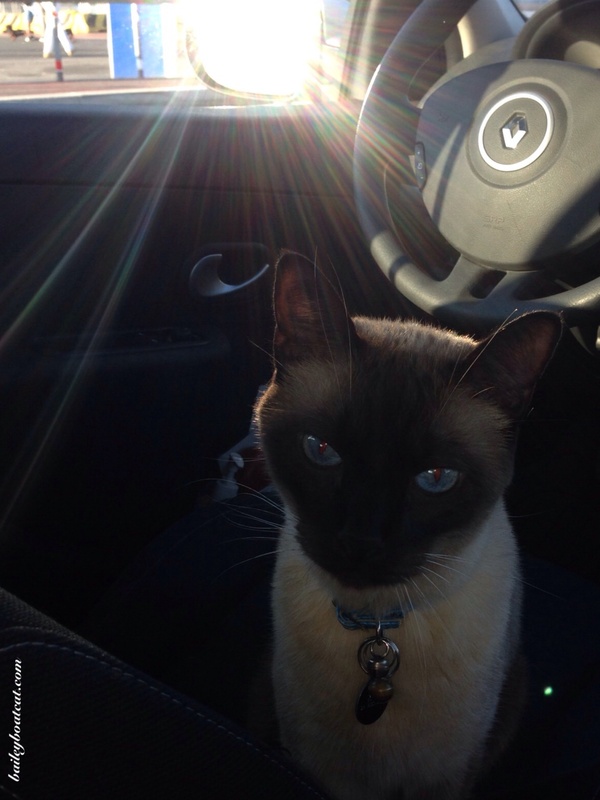 You are one well-traveled cat, Bailey! Wow. a ferry ride to Elba. Was that not one of the places that Napoleon escaped France to? I can’t wait to hear how the ferry, and Elba were! Oh Wow Bailey a ferry? Dat sounds like lots of fun. Enjoy and don’t get into too much twubble. What fun! I hope the ferry is a blast! I hope I get to try it sometime. Yow a ferry iz apposta bee lubly Brofur Bailey…enjoy yer trip! !